Take radish and grate it. Sprinkle little salt over it and keep it aside for half an hour. Squeeze the water out and add green chillies, coriander leaves and salt. Sieve the flour. Add 1tbsp ghee and all the remaining ingredients. Knead it properly to form a semi-solid dough by adding sufficient water. 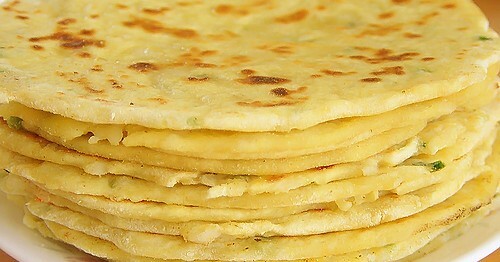 Roll out thin rotis out of the dough. 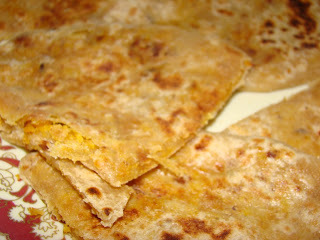 Cook these rotis on a preheated skillet until it turns lightly crispy. Apply ghee on both sides. Serve hot with fresh curd or pickle.